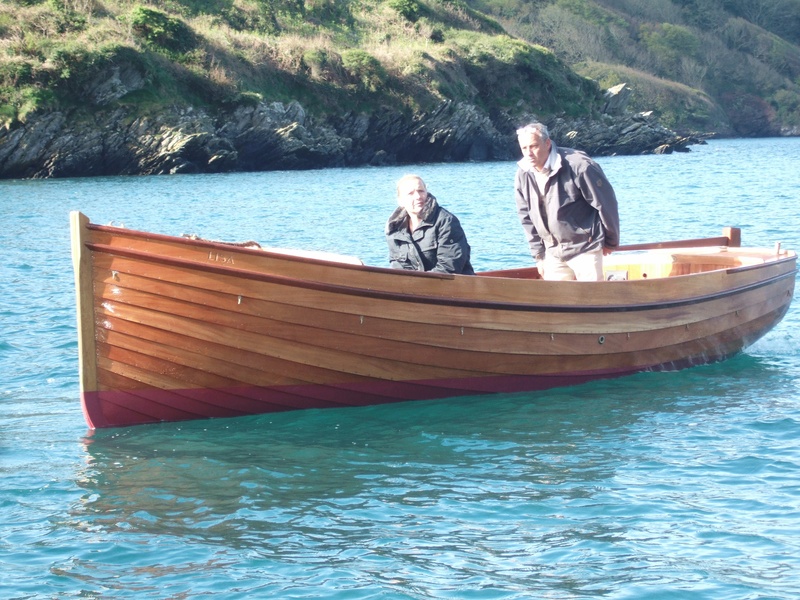 Nick Smith has just sent me these photos of motor launch Lisa at the mouth of the Yealm on the day she was launched. Read all about her here. 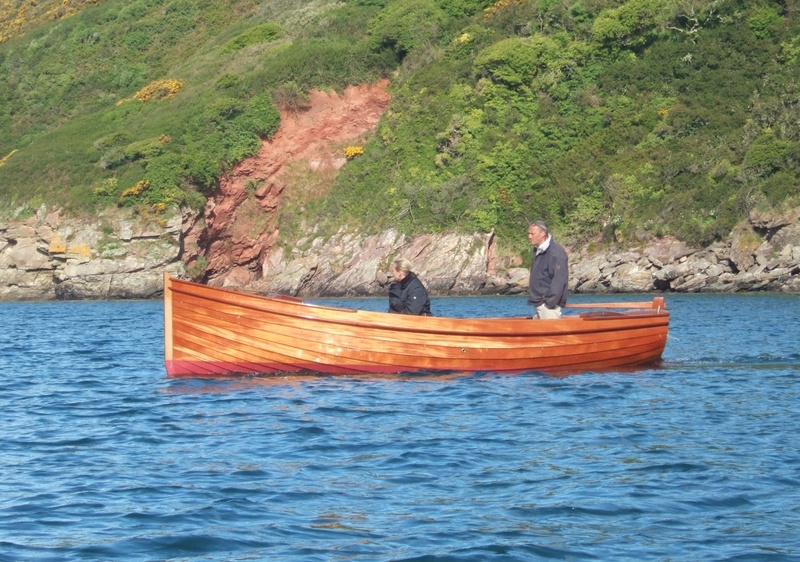 If you don’t already know him, Nick comes from Devon, learned boatbuilding the traditional way and specialises in new builds in clinker and carvel for sail, motor and rowing power from 8ft to 28ft with a special emphasis on West Country style and design, and also takes on repairs and refits from 25ft to 50ft. 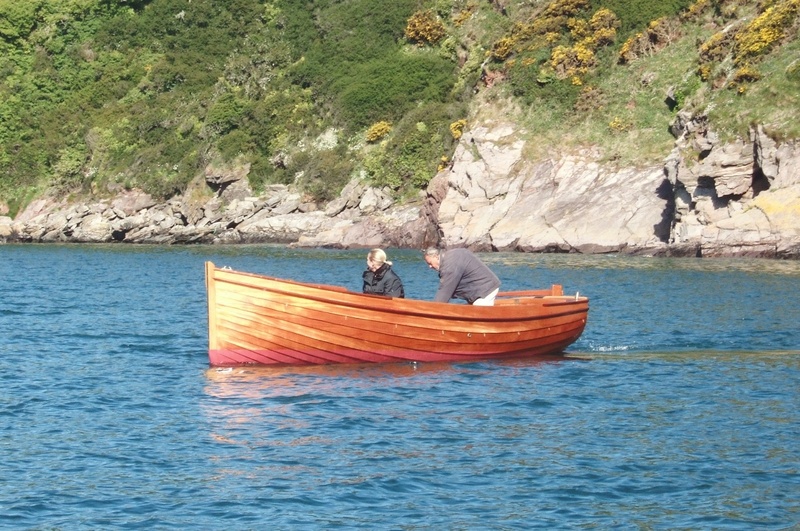 These days he’s based in Hampshire, and can be contacted by email at nick_smith_boatbuilder@yahoo.com and by phone on phone on 07786 693370. Regular readers will remember a recent post about a press-ganged keelman who became a war hero, Jack Crawford, who climbed to the top of his ship’s damaged mast under heavy fire, and nailed the Union Jack to it. This important and astonishingly brave act won him an audience with King George III and a pension. If you followed the link in the earlier post, you will know that there’s another Jack Crawford, a singer who has recently made a CD of largely traditional songs. By an amazing coincidence, it turns out that one of them describes being press-ganged and then forced to fight at sea, and I’m glad to say that Jack’s considered performance is timed to make every word count. 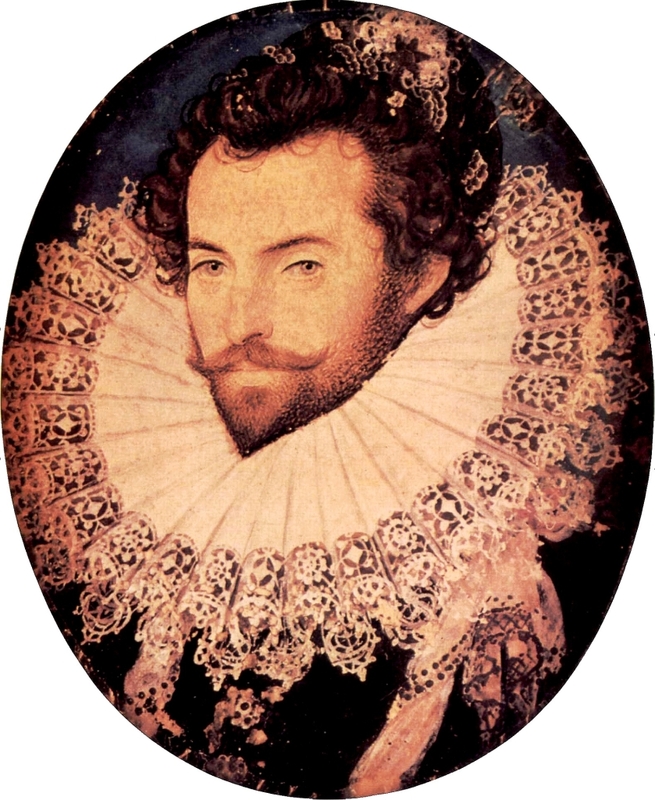 My perspective of The Valiant Sailor is that it’s an important, eye-opening song with an understandably bitter point of view, and really should be heard by anyone with a romantic view of the Royal Navy of the time, warfare in the era of the wooden walls, or of press-ganging. 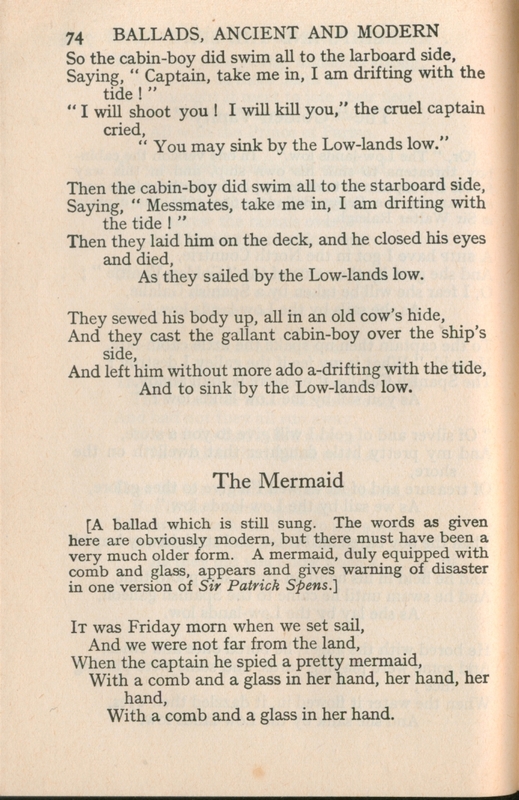 ‘In my view, the sailor has become reconciled to his fate and he understands the necessity to defend his country at sea – and die in the process if that’s what the Fates decree. It’s not the life he chose and thread of the song is a linear narrative of how he came to be in that situation. As such, it’s far from romantic, but I don’t think it’s bitter. Granted, we have “thousands of times I’ve wished myself home” to make it quite clear (as if we were in any doubt) that he’s not enjoying himself, and who can blame him, but there’s no bitterness there. The dominant emotion is the sadness of his longing to return to his “Polly on the shore” and the stark realization that he never will. I think this quality of enduring is significant. 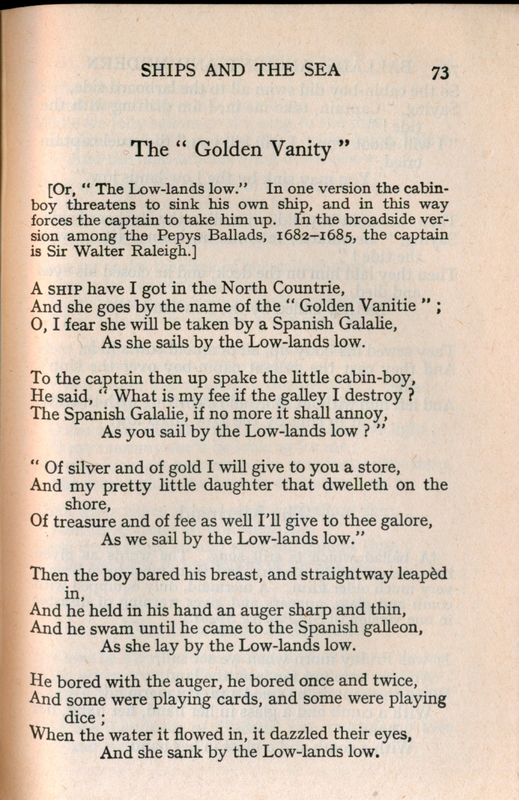 This is a song that remained in oral transmission right into the 20th century: more than a century after the events it describes, ordinary people still felt it had something of value that was worth remembering, even though the author was long forgotten to them. That, of course, is the real meaning of the term ‘folk song’. Click here to hear an MP3 of Jack’s version of The Valiant Sailor (it’s a biggish file, but well worth the short wait) from the CD Pride of the Season, and click here to buy a copy.